It's no surprise that the royal baby tops my list--I will admit to being as excited as anyone when that baby was safely born. But what I can't help but think about is the pressure for Kate to emerge from the hospital and show off baby George, which she and Prince William did so graciously. This weekend, at Sunday night dinner, my eldest daughter pointed out that she didn't think it was fair that Minnow always gets to tell all our readers what five things catch her attention and that even though I am the co-founder of the business, I hardly ever get to. 1. It's no surprise that the royal baby tops my list--I will admit to being as excited as anyone when that baby was safely born. But what I can't help but think about is the pressure for Kate to emerge from the hospital and show off baby George, which she and Prince William did so graciously. I remember after each of my births wanting to stay in the safety and anonymity of the hospital so I could enjoy being alone with my newborn as long as possible, before I had to emerge into the real world. 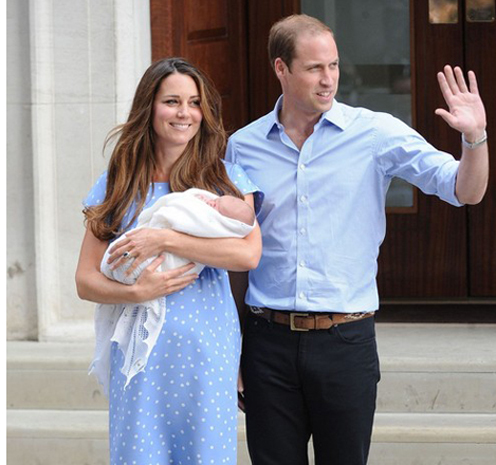 I heard the royal hairdresser had been summoned to the hospital--at least, unlike my hair upon the three times I left the hospital with my newborn, Kate's hair looked fabulous. And did you notice how handy Prince William was with the car seat? No struggle at all putting it in the first time--he must have been practicing because I think all parents would agree that first time doesn't usually go so smoothly. 2. I was out with some friends this week who were looking very fit and healthy. They shared that their secret was the 7 Minute Workout. Needless to say, I was intrigued. During the week, I usually get up to workout before the kids get up, but on the weekend, I like to try to sleep in and it seems like seven minutes is about all I can manage before a 'kid interruption' happens. I've now got the app, so starting this weekend I am going to commit to those seven minutes. 3. I'm also going to try to commit to adding blueberries, kale and quinoa into more of my daily meals. Our go-to nutritionist Theresa Albert recently explained why these foods are so important when it comes to the aging process. Maybe we should combine all three ingredients into an EatSavvy recipe--what do you think? 4. We just got back from a 10-day family beach vacation and it was a fulltime job keeping everyone protected from the sun, despite my bag of sunscreen and UPF50+ rash guards for everyone. 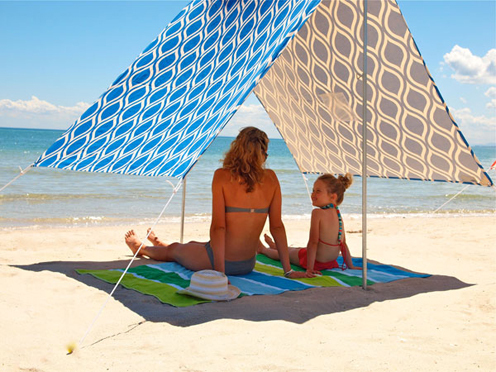 This awesome portable canopy would have been a great addition to our beach arsenal. If you're craftier than I am, you could probably even make one yourself. 5. On that same vacation I ate 30 meals in a row with my brood, which gave me a very good perspective on the opportunities for improvement in their table manners. Despite my constant cajoling about elbows on the table, they still need reminders. 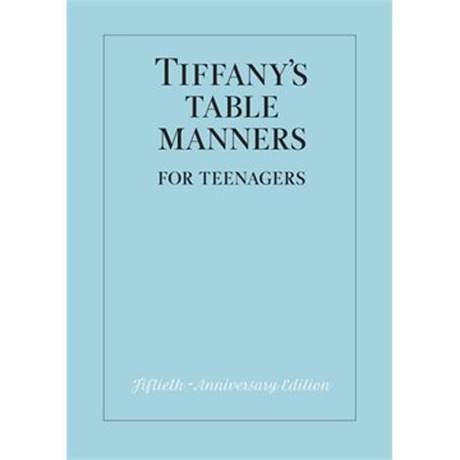 So I decided to bring in an expert, Walter Hoving, former chairman of Tiffany's and author of Tiffany's Table Manners for Teenagers. His book is a great intro to all the basic table manners and its amusing illustrations and light-but-instructive tone has made it required summer reading for all three of my kids (who are not yet teenagers but more than old enough to read this easy-to-read book). I bought them each a copy to pass on to their own children some day--once they have mastered everything inside of course. This post originally appeared on SavvyMom.ca. Follow Sarah, Minnow and SavvyMom on Facebook for more savvy tips and solutions.